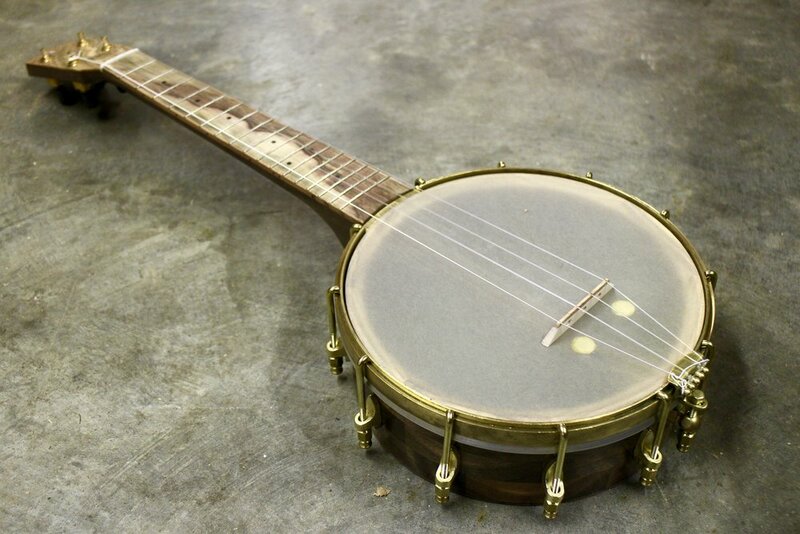 Walnut and pistachio tenor banjo uke with K&K pickup and low G tuning. The three piece neck and block rim feature curly walnut from Goby in Portland, OR and pistachio from California orchards. 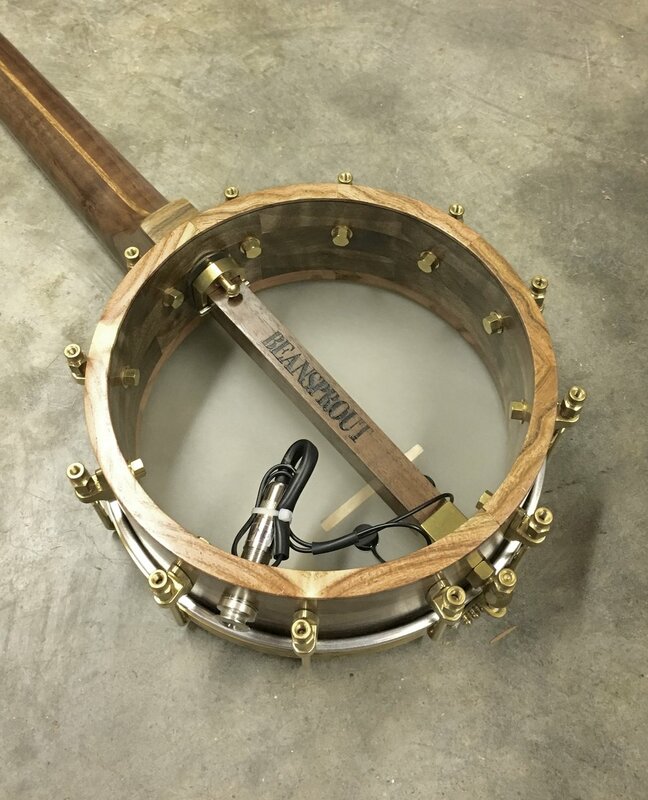 The darker sound of the walnut and the low G make for a rich tone and sustain.